This Q&A from human rights NGO Amnesty International provides information about the range of measures the Polish government is taking or attempting to take to “reform” the judiciary in Poland; how these impact human rights and what is likely to happen next. 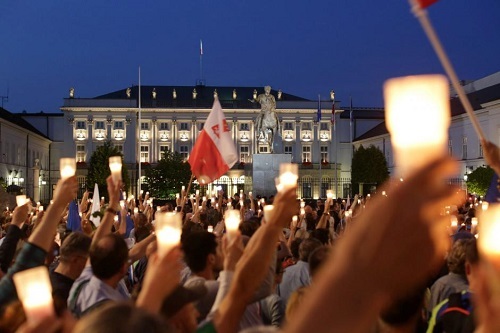 The attempt to dismantle human rights safeguards in Poland, in particular the right to fair trial, could have severe ramifications for the entire country and the wider region. What laws have been adopted or proposed under the ongoing “reform of the judiciary” in Poland? Step by step, the Polish government has proposed several legal changes which in and of themselves are harmful too, but taken all together form the nail in the coffin of independence of the judiciary in Poland. Under this law, assistant judges are permitted to sit as the sole judges in district court cases for a fixed term of four years. This raises concerns because assistant judges do not go through the same appointment procedure as regular judges. The appointments procedure for regular judges involves a full review of a person’s application by the National Council of the Judiciary (NCJ), the constitutional body responsible for safeguarding the independence of courts and judges in Poland. New assistant judges under this law will be appointed by the Minister of Justice and the NCJ will only be able to raise objections to their applications within 30 days. Following the adoption of this amendment, the Minister of Justice – who also serves as Poland’s national Prosecutor General – is empowered to appoint and dismiss presidents and vice-presidents of courts. No judicial review is available against a dismissal decision of the Minister of Justice. The National Council of the Judiciary would be able to block a dismissal but only with a 2/3 majority vote against the decision of the Minister of Justice. In a recommendation issued on 26 July 2017, the European Commission stated that these changes could result in direct political pressure on judges: “For example, a court president who is called upon to deliver a judgment in a sensitive case against the State may feel the pressure from the Minister of Justice to follow the position of the State in order to avoid being dismissed as a court president”(C(2017) 5320, para 20). The law also changed the procedures for the promotion of judges. But the law failed to specify discrete and objective criteria required for judicial promotions, leaving open the possibility that promotions will be made on an arbitrary basis. This amendment would have increased the number of members of the National Council of the Judiciary appointed by parliament. Out of the total 25 members of the NCJ, 15 members would have been appointed by the lower chamber of parliament. This breaches the Polish Constitution, which limits the number of members of the NCJ appointed by the parliament to six. The amendment would also have reduced the powers of NCJ members in the process of appointing of judges, while increasing the powers of the Minister of Justice. Nominations of new judges are currently made on the recommendation of the NCJ. The reform intended to leave the NCJ with the reduced role of only having the possibility to raise an objection to a particular candidate. It intended as well to withdraw the competence to promote trainee judges; this competence would have been given to the Minister of Justice. This law would have granted the Minister of Justice the power to terminate the term of judges on the Supreme Court; to form the “new” Supreme Court after the termination of the current Supreme Court members; and to assume new competence within the disciplinary proceedings of Supreme Court judges. What led the President to veto the two amendments (the Law on the National Council of Judiciary, the Law on the Supreme Court)? Was it really the power of the public protest? The President’s veto came as a surprise to most observers and is likely to be a result of several factors: the massive public protests in the country; concerns and criticism expressed by many international institutions and human rights bodies; internal politics within the government of Poland, including an attempt by the President to assert himself as an independent constitutional actor; and the threat of EU measures against Poland. Why is this reform of the Polish judiciary so problematic? The independence of the judiciary is a crucial element of the right to a fair trial. States have an obligation to take specific measures to guarantee the independence of the judiciary and protect judges from any form of political influence. The laws comprising the “reform” of the judiciary in Poland are intended to concentrate power over the judiciary in the hands of the Minister of Justice. The Ministry of Justice has argued that the changes have been necessary to “cleanse” the courts of persons – primarily judges – who “have lost the public trust”. Instead of an independent, self-regulating body – such as the National Council of Judiciary – overseeing judicial appointments, vetting of applications, and ethics review of sitting judges – the Minister of Justice will wield extensive control over Poland’s judiciary. Such reforms would contravene the principle of separation of powers by endowing the executive branch with undue influence on the judiciary. The independence of the judiciary is a crucial check on the powers of the executive. Independent courts are of critical importance for people who have suffered human rights violations. Likewise, persons who are prosecuted for crimes must have fair trials in line with international standards, including access to independent courts. Several domestic bodies and nongovernmental organizations (see the list below) agree that there is a real need to reform the Polish judiciary, the laws adopted by parliament do not address the problems that affect the Polish judicial system; in particular, they do not simplify the existing bureaucratic procedures in a way that would facilitate more timely and effective access to justice. How will these changes impact human rights in Poland? The specific changes to Polish law will undermine the right to an effective remedy and the right to fair trial. The Minister of Justice’s control over the judiciary could result in situations where direct political pressure is put on judges in “politically sensitive” cases. Such cases could include the ongoing prosecutions of persons who have protested against the government’s attempts to exert undue influence over the judiciary. Amnesty International and other NGOs are currently following dozens of cases of people subjected to prosecution for their participation in peaceful protests since November 2016. Some of these cases have entered into a trial stage in July and have already had their first hearings. 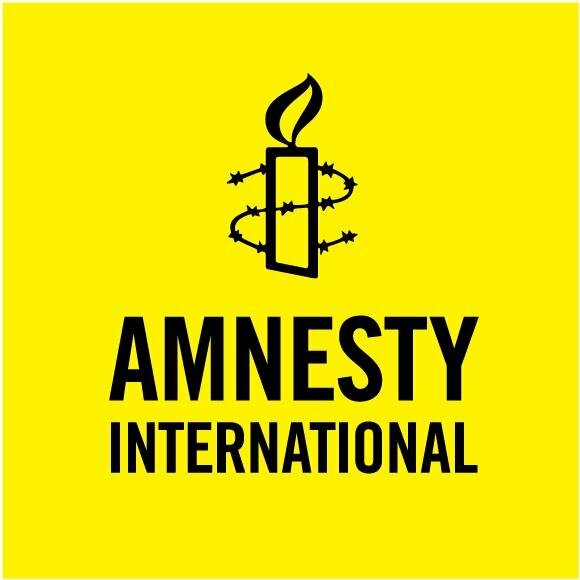 Amnesty International is also concerned over criminal or civil proceedings brought against journalists or writers. In one such case, a journalist, Tomasz Piatek, is facing criminal charges of an “unlawful threat against a public official” for a book that includes allegations of links between the current Minister of Defence and the Russian intelligence services. The case is currently in a pre-trial stage. What other institutions, independent bodies, organizations and experts have expressed concerns over the waning independence of the Polish Judiciary in light of the changes adopted by the parliament? Within Poland, concerns have been raised by the Commissioner for Human Rights (Ombudsman), National Council of Judiciary, Council of Barristers, as well as by NGOs, including Helsinki Foundation for Human Rights, Akcja Demokracja, Women’s Strike (Strajk kobiet) and others. Several international NGOs have also sounded alarm bells over the threats to the independence of the judiciary in Poland, including the International Federation for Human Rights (FIHD), Human Rights Watch, Human Rights First and others. What is likely to happen with the laws that were vetoed by the President? There is still a possibility that the vetoed amendments could be put on the agenda of the lower chamber of Parliament (Sejm) in the near future, where they could still be forced through by accruing enough votes to override the President’s vetoes. In order to get the amendments passed at this stage, at least half the members of the lower chamber of Parliament must participate in the vote and a 3/5 majority would be required for adoption. If the lower chamber were to vote to adopt the amendment, the President would have seven days to sign it into law. Furthermore, the President announced that, despite the fact that he was vetoing the amendments, he would submit his own draft bills of two amendments within two months. The government could also table new versions of the amendments (to the Law on the Supreme Court and the National Council of Judiciary) and get them passed through Parliament with a simple majority. What is the EU doing to ensure the rule of law and the right to fair trial in Poland? If such a measure is to be taken, the Commission is committed to triggering Article 7(1) TEU. The European Council will then have to vote with a 4/5 majority of Member States whether there is “a clear risk of a serious breach by [Poland] of the values referred to in Article 2”. The Council will have to act by unanimity to determine the existence of a ‘serious and persistent breach’, after which the Council could decide to suspend certain rights of Poland, including voting rights in the Council. While the unanimity under Article 7(2) is extremely unlikely, it is not impossible to reach the 4/5 majority needed for Article 7(1). On 29 July, the EC announced that it had triggered legal proceedings against Poland for infringing EU law, specifically in relation to the Law on Common Courts. In the letter of Formal Notice sent to Poland’s government, the EC explained that it considers the amendment to be in breach of EU law by undermining the independence of the court; access to effective legal protection; and the right to remedy and fair trial (under both Article 19.1 of the Treaty of European Union and Article 47 of the EU Charter of Fundamental Rights). Poland has one month to respond to the Commission’s letter.